Yesterday GSPCA Ambulance Officer and Head of Marine Mammals Geoff George was called out to rescue and help a very poorly marine mammal at Chouet. 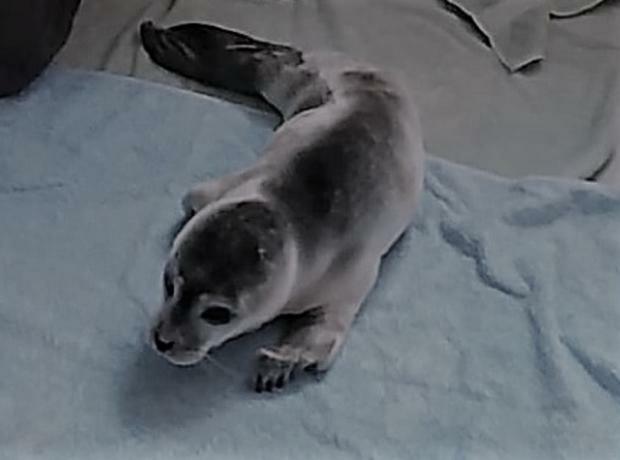 Only weeks after releasing Temperance the Grey Seal Pup back to the wild we now have a Common Seal Pup in our intensive care room for sick and injured seal pups. Common Seals are extremely rare in Guernsey waters and to see a pup is even more so unusual, which certainly helps explain the condition of this very poorly pup. With only a matter of weeks before Temperance the seal pup being released we are in desperate need of fresh fish to fatten him up. His ideal fish is mackerel or herring and it has to be human quality for his health. Temperance is eating 20-30 fish a day and we are currently struggling to find suppliers with enough in stock. We are overjoyed to report that Temperance is doing exceptionally well and potentially after another few weeks of care will be returned back to the wild. The injured and very poorly grey seal pup was rescued at Beaucette Marina last November has approximately tripled his weight and has turned into the fastest swimming seal we have ever had so is now in the last stage of his rehabilitation. 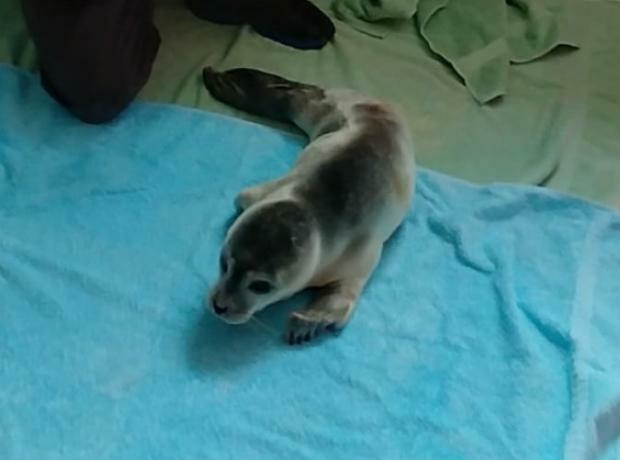 Temperance was the thinnest grey seal pup to be rescued by the GSPCA and it has been a long road in his care to get him fit enough to get him to where he is today.